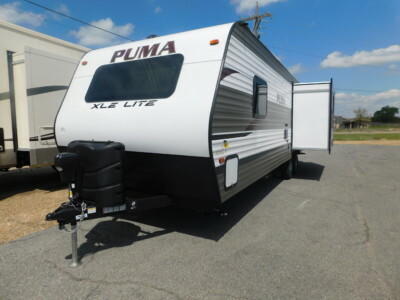 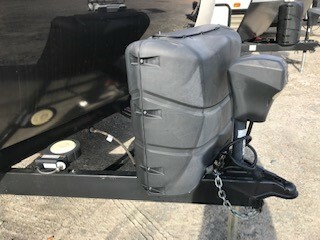 Exceptional construction with an aluminum frame, 5/8″ Plywood floors, Climate control Package with heated enclosed underbelly and heated holding tanks, power tongue jack & stabilizing jacks with an automatic leveling system. 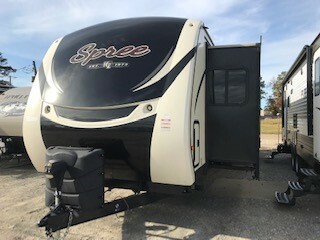 Two power awnings with LED light strips. 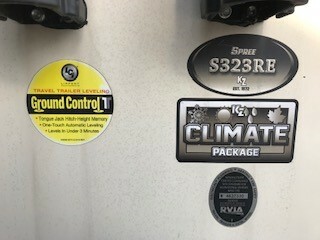 Outdoor speakers, CD/DVD/MP3 with Bluetooth. 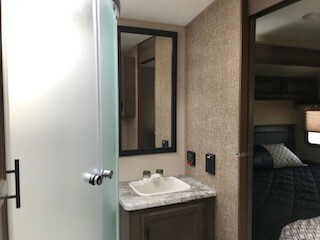 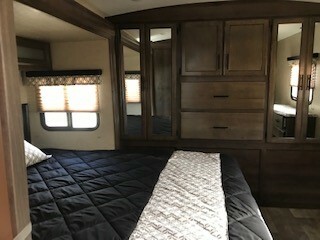 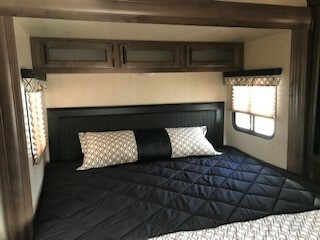 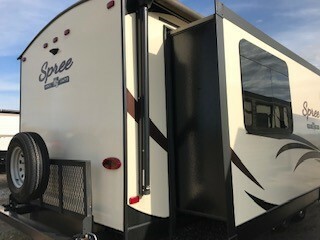 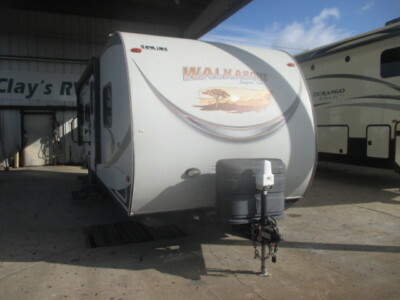 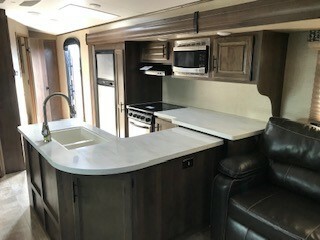 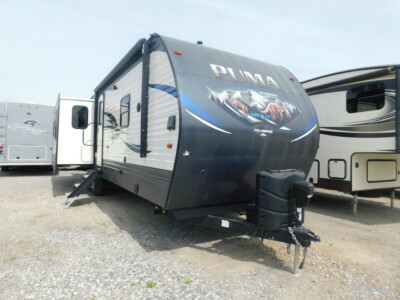 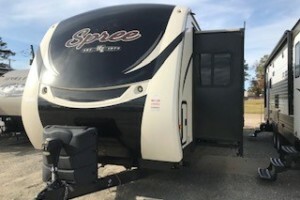 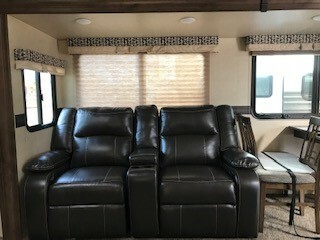 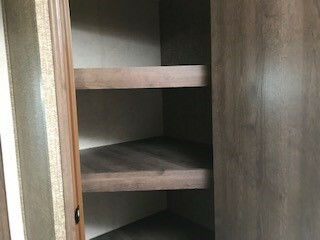 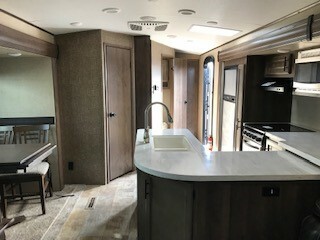 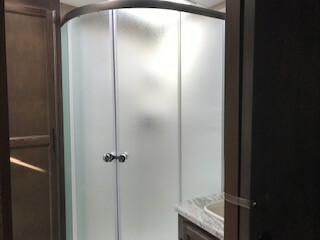 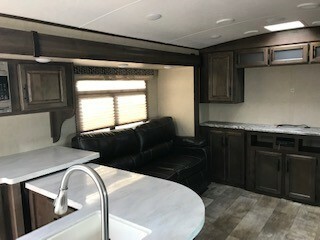 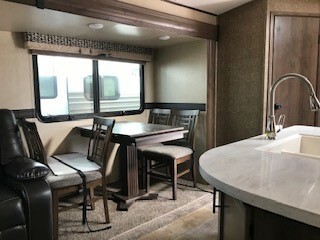 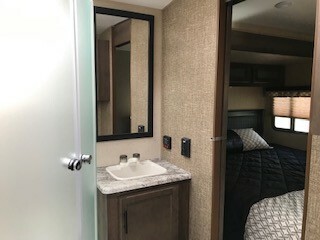 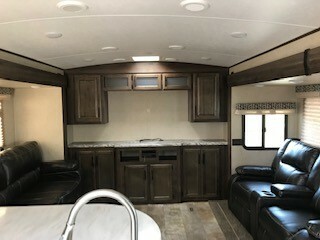 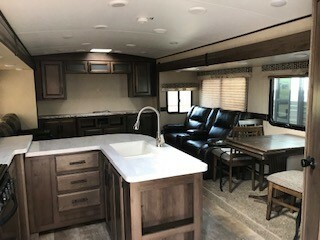 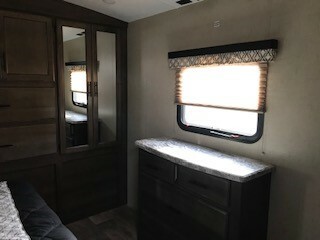 Prepped for observation camera, cargo tray, 50 amp with two air conditioners, stainless steel appliances, with solid surface counter tops and stainless steel sink, 3 slides, with ample storage space, Sleep 4 comfortably, queen bed with large closet, arched roof for more head room and more!